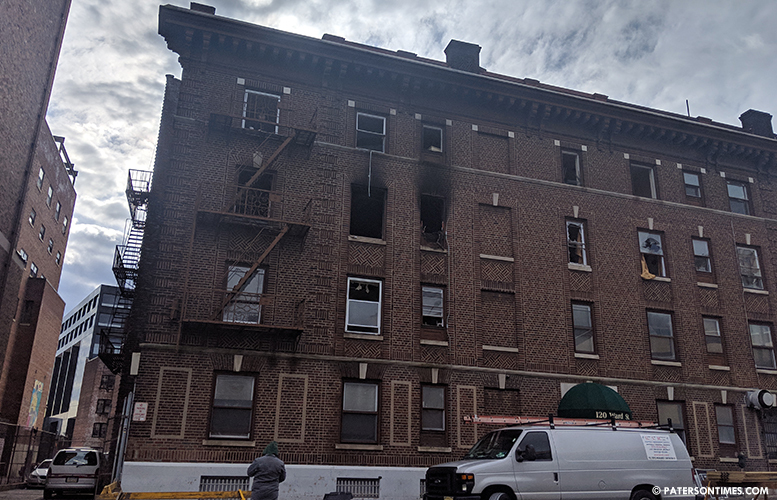 A three-alarm fire ripped through a downtown Paterson apartment building early Sunday morning. 18 residents have been displaced, according to the American Red Cross. One person had to be taken to St. Joseph’s Regional Medical Center for smoke inhalation. Firefighters responded to a blaze at 120 Ward Street at around 3:10 a.m. Flames were visible from the third-floor window of the large apartment complex, official said. Blaze was brought under control after an hour. Cause of the fire remains under investigation.